Houston Chronicle Op-Ed: Plastic pollution is a serious problem. 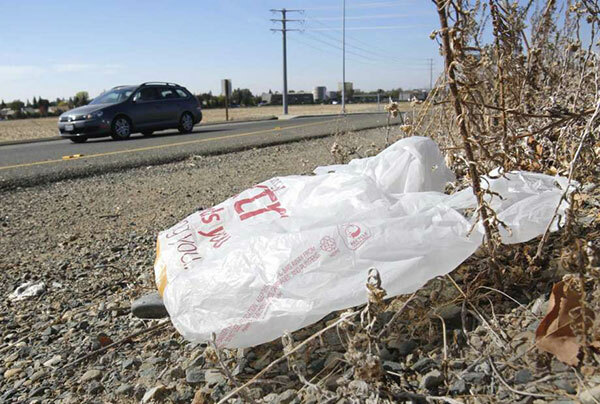 Let’s stop holding on so tightly to plastic bags — we’re better without them, and there’s no time like the present to act. 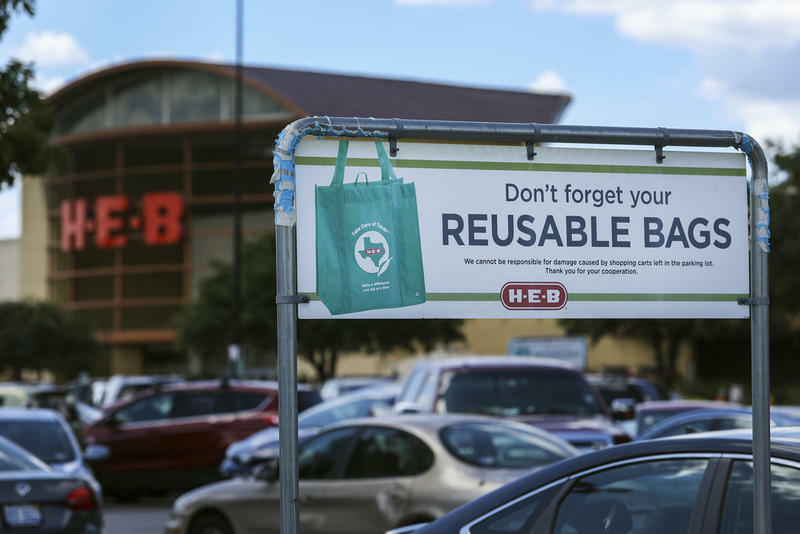 KUT News Austin: The City of Austin says it will no longer enforce a ban on single-use plastic bags at most retail outlets, following a state Supreme Court ruling last month that struck down Laredo’s bag ban. Houston Chronicle: Caoilin Krathaus and Lila Mankad, 12-year-old friends and classmates at Hogg Middle School, are sixth-graders on a campaign to save the world. Austin American-Statesman: Five months ago, conservative lawmakers had high hopes of loosening environmental regulations, especially those enacted by progressive-minded cities like Austin. But as the Legislature wrapped up its biennial confab on Monday, the committee room floors were littered with conservative-minded bills that never made it anywhere. 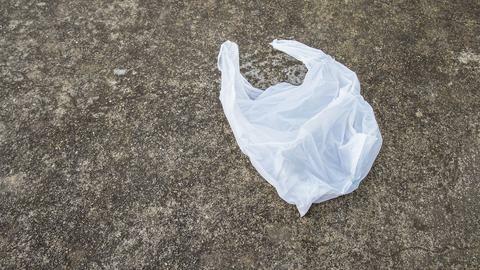 Austin Business Journal: Environmentalists are declaring victory at the Texas Capitol in the fight to give cities the right to ban single-use plastic bags at stores, one of the few victories this legislative session for local governments in their fight against state pre-emption. 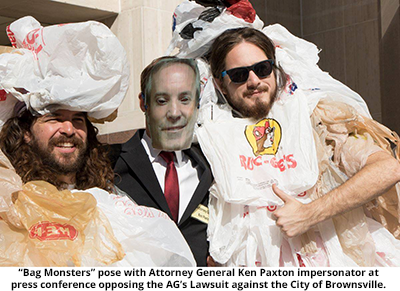 From our blog: For the first time ever, a statewide coalition of advocates proactively introduced a bill to protect local rights to ban bags: HB 3482. The bill passed out of its committee with a “yes” vote from one of the House’s most conservative Republicans, and then passed out of the Calendars Committee and was scheduled for a floor vote! 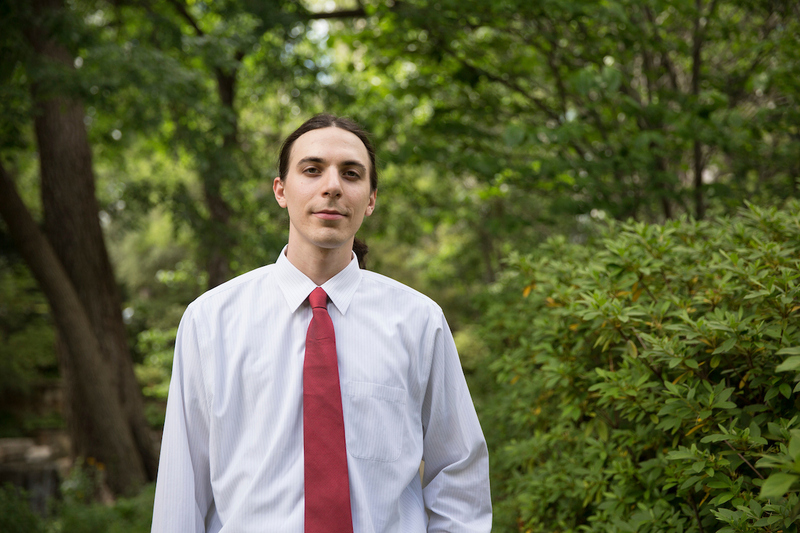 Texas Tribune: Five community organizers tell us how they rally people around issues. 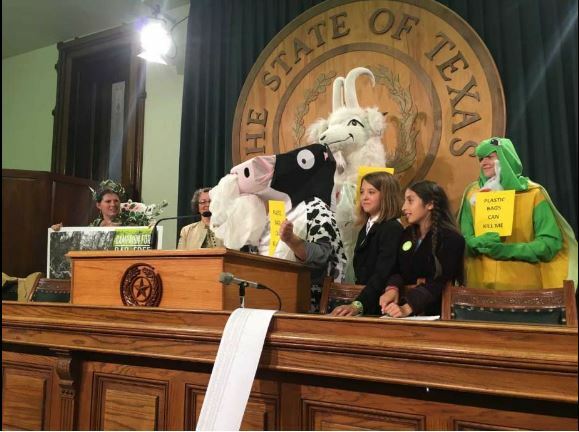 In the pre-dawn darkness Tuesday, friends Lila Mankad and Caoilin Krathaus, both 11-years-old, piled into a car in Houston with each of their fathers to deliver a message to lawmakers in Austin. 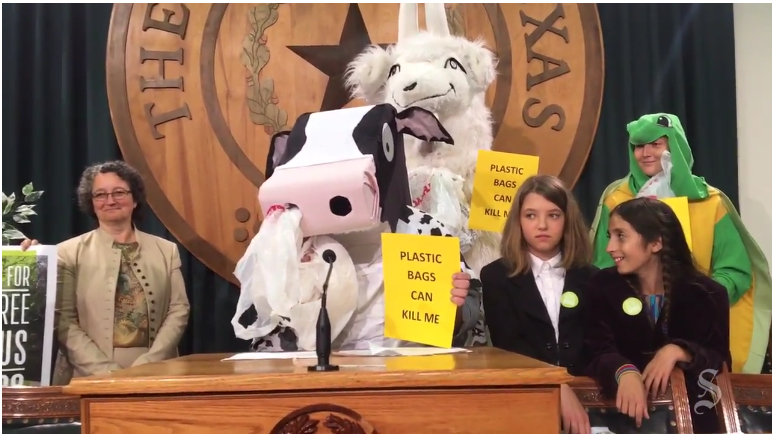 The two kids, who started an organization called Bag-free Bayous, arrived at the Capitol to discourage lawmakers from striking down bag bans in about a dozen cities around Texas, including Austin. 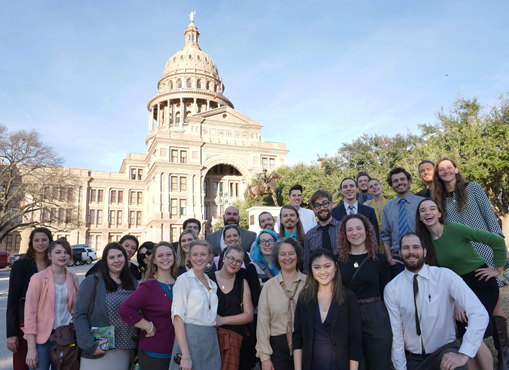 From our blog: We held our first statewide webinar to share information about our legislative priorities in 2017. Folks from all over the state tuned in online to learn, discuss, and TAKE ACTION! 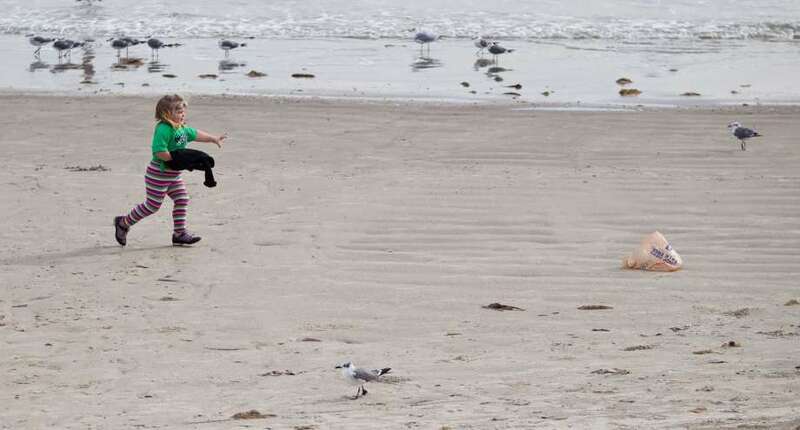 Houston Chronicle: Reacting to a groundswell of concern about the effect of plastic bags on the environment, Galveston is on the forefront of a statewide controversy over cities’ ability to ban plastic bags that are killing turtles, birds and fouling beaches.